When a Private Equity firm is ready to buy an asset, they call on their investors to transfer a portion of the promised money committed to a certain fund. The capital call (or draw-down) notice contains sensitive information such as the dollar amount to be transferred into the fund, bank routing information, and the investor’s name and address. Investors expect their privacy to be protected, and the notice delivery tracked for confirmation and auditing purposes. Courier services are an option, but they are slow and expensive compared to electronic means. 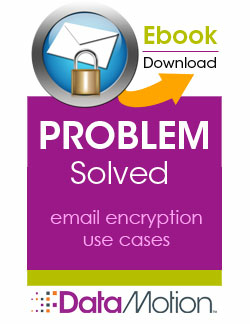 SecureMail safely and easily encrypts capital call notices. The Private Equity firm composes an email message (manually or automatically) with the capital call as a file attachment, and SecureMail automatically encrypts and delivers it to the recipient. There are no keys or passwords to exchange. Not only is investor privacy protected, but all notices are tracked to monitor delivery status and whether or not they were opened. Costs savings are at least 60% over postal mail, and at least 98% over courier services.